I wish to thank the staff at Training House for the assistance in passing the 17th edition wiring regulations online course. I enrolled in October 2016 and due to my work commitments could not complete until March 2017 The layout and banks of questions allowed me to get back into full swing almost immediately and with Terry's help I managed to get a very good pass. The system is very comprehensive and really makes you get to know the regulations book thoroughly, I would recommend this course to anyone as the best on the market to get a result, its very thorough and easy to follow. " "I've been a customer of Training House co.uk Ltd, and its easy-to-use website with training notes and online interactive multiple choice questions and I have passed my City & Guild 17th Edition 2382-12 exam very first time"
Firstly I'd like to say thanks to Terry and his team for putting together this 17th edition course and secondly how easy and convenient it was to do in my own time, I would highly recommend this company to absolutely anyone looking to expand their skills online. "I express my sincere thanks and appreciation towards Mr. Terence Crowe and all his team of the group, for the simple, the very well organized,comprehensive and with defined objectives training course which led to my success in the exams of the 17th Edition of the Electrical Installations Regulations.I wish every success to the Centre and to all candidates, encouraging them to confide the Center for their future courses and exams.Thanks a lot"
"Thanks Terry Thought the online program was really good. I Know the book better than I ever did." 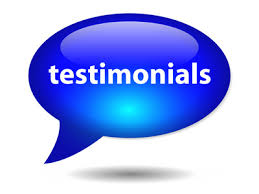 "Thanks Terry the online program was really good and helped me to pass 2382-15 the exam 1st time." "Signed on the 2382-15 on a monday and 5 days later we both passed. Brilliant system, exam at home when we wanted it, so I will recommend to my friends." "Thanks Terry My company wanted me to do 2382-15 as quick as possible, with this scheme it was achieved very easily and professionally"